Just last month, Ford introduced its next-generation Fusion Hybrid autonomous development vehicle. It was introduced at the Consumer Electronic Show and the North American International Auto Show. This new autonomous vehicle uses the current Ford autonomous vehicle platform. But the new car has increased processing power with new computer hardware. The electrical controls are also closer to being production ready. Adjustments to the sensor technology allow the car to better “see” what is going on around it. The “seeing” sensors have also had an updated placement. The new LiDAR sensors have been designed to be sleeker and have a more targeted field of vision. This now enables to the car to use just two sensors rather than the previous four sensors. The next-generation Fusion Hybrid autonomous vehicle also has an evolved virtual driver system as well as an upgraded vehicle platform. This development vehicle follows the company’s current generation which was introduced three years ago. Ford Motor Company is also on a quest to build a high-volume and fully-autonomous SAE level four-capable vehicle by the year 2021. This is according to a blog post authored by Chris Brewer who is the chief program engineer for ford Autonomous Vehicle Development. Isn’t this some spectacular news? 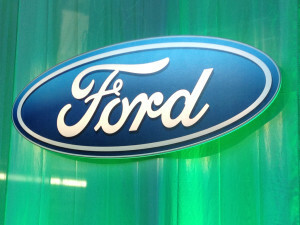 At Beach Automotive, we are waiting patiently Ford’s first full production autonomous vehicles. We can’t wait until they hit our lot. It’s going to be an exciting time for sure. Until that day, though, we have all of Ford’s regular human-drivable cars, trucks and unstoppable SUVs available for you to test drive. Have you looked a Ford vehicle lately? If you have questions about this new technology or any other innovative technology in Ford’s lineup, give Beach Ford a call today! Our experts are ready and waiting to hear from you! Call now!